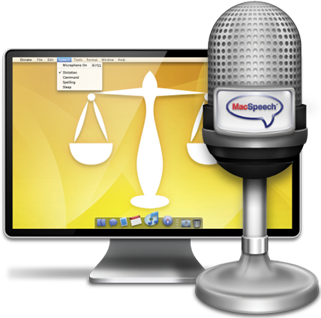 On the heels of my recent review of MacSpeech 1.5, MacSpeech announced its newest version, MacSpeech Legal, which includes a dictionary of over 30,000 legal related terms and phrases. I've spent some time with this product and it is really nice saying terms like ex parte without grinding to a halt. I know a lot of attorneys follow this blog. 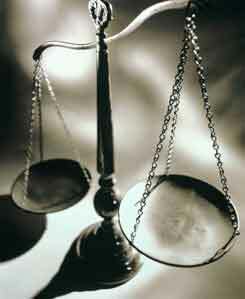 If you are practicing law on a Mac, this one will pay for itself in a few days. It wasn't too long ago that I reviewed MacSpeech Dictate version 1. At the time I concluded it was the best dictation application on the Mac but is still wanting against the DragonDictate on the PC. Because MacSpeech Dictate uses the Dragon speech recognition engine, I've always felt it is only a question of time before MacSpeech catches up with the feature list on the more mature PC application. Recently, MacSpeech Dictate came out with version 1.5 that takes several important steps on that path. Since the original release of MacSpeech Dictate, the Dragon engine has been updated to version 10 on the PC. MacSpeech Dictate 1.5 brings that Dragon version 10 engine over to the Mac. It is both faster and more accurate than the Dragon 9 engine in the prior version. The developer states the accuracy improved "up to 20%." Even using the prior version, my accuracy was very good. Having used speech recognition software (off and on) for over 10 years, I simply cannot understate the accuracy of the Dragon engine if you spend a little time and are careful with your dictdion. Frankly, my biggest accuracy problems are not the software but my occasional sloppy dictation habits. While difficult to quantify, the improved accuracy and speed with the new version is noticeable. Indeed, the engine upgrade is, in my opinion, the most important reason to move to version 1.5. Another reason to upgrade is the addition of the vocabulary editor which allows you to train individual words and add them to your dictionary. 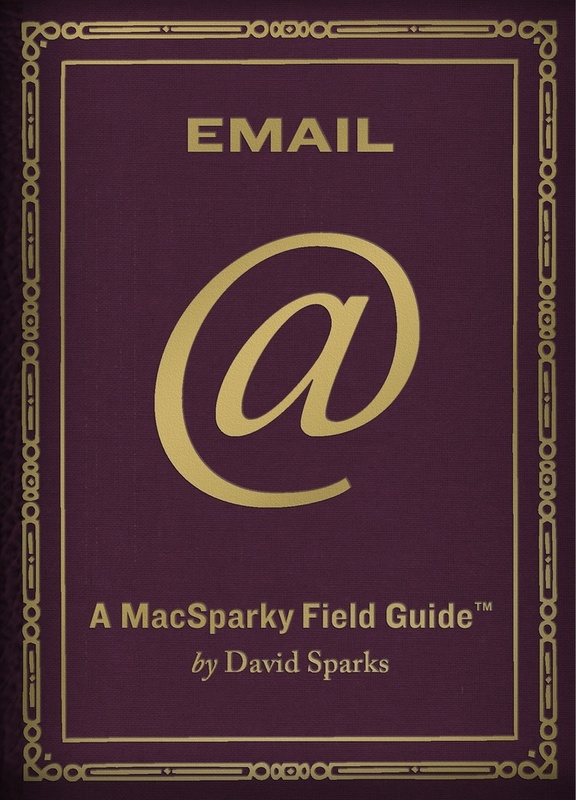 It can be anything: technical jargon, latin phrases, even "MacSparky." This is one of the PC features that I missed on the Mac. Thankfully, you can also save your profile so the additional words and nuances of your voice can be captured by the system. The application now also recognizes 13 distinct English dialectic variations. The new "cache document" command allows you to navigate a document and perform edits. In practice, I still found it easier to use the mouse and keyboard for proofing and editing following dictation. The interface has not changed significantly. It still provides you with a list of available commands and an easy to use control window. Once you get used to MacSpeech Dictate, I recommend you turn some of these additional windows off. These days I use this application exclusively through its menubar icon. As I get older, I find myself using speech recognition software more and more often. This results from the fact that I'm getting older and my fingers get sore after long typing sessions. Also, I'm really busy and using MacSpeech Dictate allows me to write much faster. 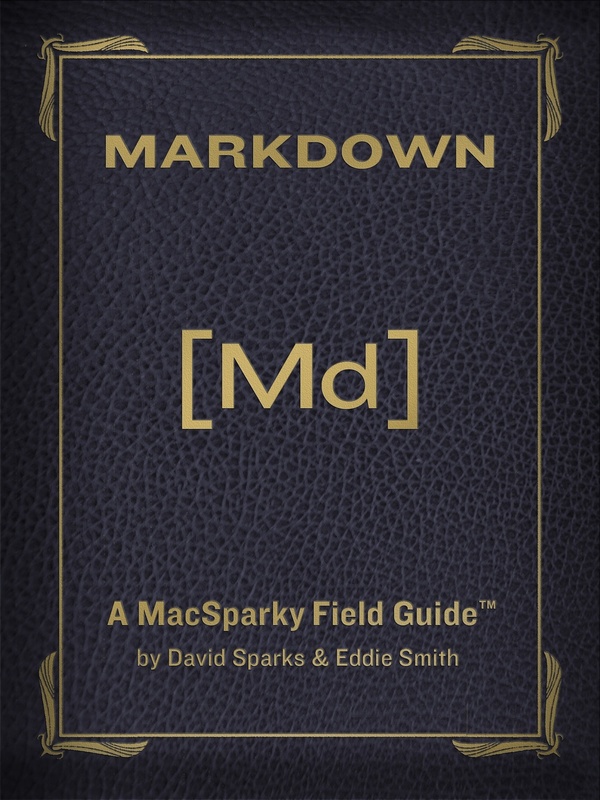 Most of then content at MacSparky.com and, for that matter, this very review started out with MacSpeech Dictate. MacSpeech Dictate remains the only option on the Macintosh for speech recognition. Thankfully, the developer is aggressively moving forward with the addition of new features and support. If you are buying it new, the price is $199 and includes a microphone. For the upgrade to version 1.5 it is $55. You can learn more at macspeech.com. You can listen to this review on the MacReviewCast Episode 214. The best speech recognition application on the Mac, MacSpeech Dictate, got updated today to version 1.3. Now you can use MacSpeech Dictate in any document, including those that were not created with MacSpeech Dictate. There is a new "Cache Document" command that allows MacSpeech Dictate to read a document's contents, in order to navigate the document, and to enter and edit text. MacSpeech Dictate uses a cache to keep track of the text in the window and where the selection or insertion point is located within that text. This is a significant improvement for this application. I routinely use both MacSpeech Dictate and DragonDictate on the PC side. MacSpeech Dictate still has a ways to go before it gets the functionality of DragonDictate but the aggressive updates and improvements are encouraging. As a computer geek, I have been fortunate to live in amazing times. I grew up watching the birth of the personal computer. I saw the internet transform from a college project to a global phenomenon, and I've been trying to get my computers to listen to me since the beginning of speech recognition software. About 10 years ago, when speech recognition was first being introduced to the masses, I tried it out. It was terrible. You ... had ... to ... put ... a ... space ... between ... every ... word. While those initial experiments were fun, the technology ultimately came up short. I work on a PC at the office and a few years ago I tried again. This second attempt was much more successful. The Dragon Dictate engine on the PC software made huge strides. No longer do you have to put spaces between words. You can speak naturally and, with some training, the computer gets very good at understanding your voice. I write for a living and Dragon Dictate quickly became a regular part of my computing experience. I was always disappointed that the Apple Macintosh did not have a similarly adroit speech recognition application. The PC beating the Mac with voice recognition is like seeing an old beater car with a killer stereo. It just makes you hurt a little bit. So you can imagine my excitement last January when I discovered MacSpeech Dictate at Macworld. MacSpeech licensed the Dragon recognition engine for the Mac. This was no vaporware. They had working demonstrations and if they had it ready, I would have bought it that day. Going back and reading my Macworld 2008 coverage, I forgot just how much I lusted after this software. As soon as MacSpeech released a few months later, I had it installed on my Mac. The application is now at version 1.2. The question now becomes, was it worth the wait? The short answer is yes. 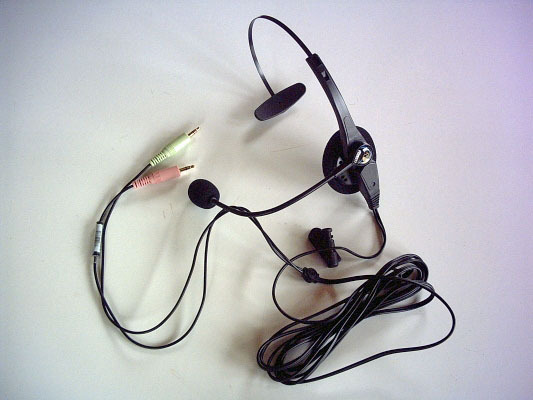 This product includes both the software and a voice friendly headset microphone and a USB sound device allowing you to plug the headset in. After installing the application, MacSpeech Dictate walks you through a remarkably short tutorial. Once again, my age is showing. I remember when training voice dictation software would take hours. My total set up time on this application was about 15 minutes. Once you’ve done the basic setup and microphone adjustment, you simply load your favorite word processor and get going. Where this application really shines is text input. I can sit down and dictate correspondence, work documents, and even this review as quickly as I can form the words. The trick I found was not to mix typing and talking. In addition to recognizing your voice, MacSpeech Dictate needs to keep track of where the cursor is. If you edit the document while dictating, you’re very likely to confuse the application and cause unacceptable, and sometimes humorous, results. So my workflow with MacSpeech Dictate is to simply talk through my rough draft. So long as I focus on dictating and typing separately, the accuracy is remarkable. You will need to proofread the final product closely and the application will confuse some words but generally that is more a result of me getting sloppy in the dictation process then the application itself. 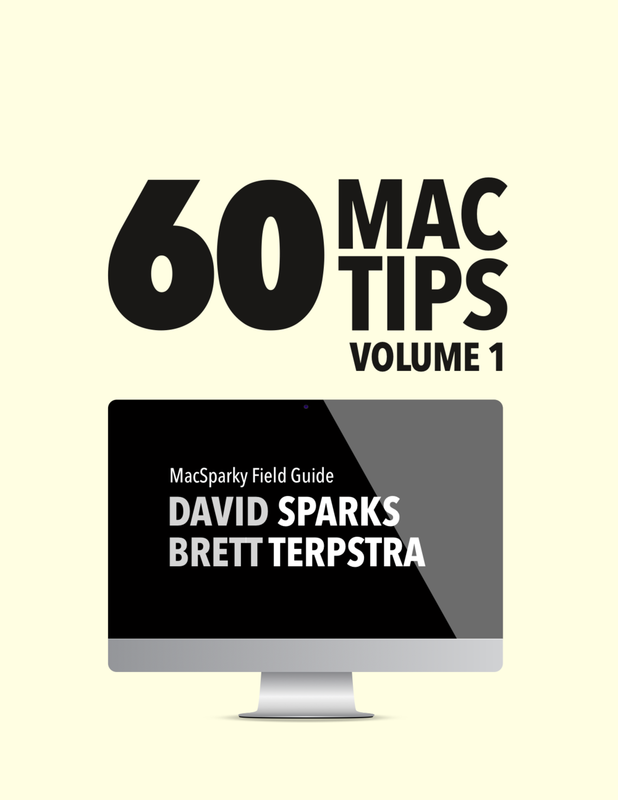 MacSpeech Dictate needs you to articulate your words properly. This doesn’t mean that you have to be extra careful with the way you speak. It simply means you can’t get lazy and began slurring words together like a drunken sailor. Using MacSpeech Dictate, I can get raw text into my machine significantly quicker and with much less pain to my fingers. It has a built-in editor but I have also used it to dictate text directly into Scrivener, Pages, and Apple Mail. If you are about to dictate a unique word, there is a spelling mode that allows you to stop and spell a particular word or name. There is also a procedure to allow you to train new phrases. For instance, my day job requires me to use some unique latin words and phrases. If I just start spewing these words into MacSpeech Dictate, it will tie itself in knots. However, if I stop and train these phrases and words, MacSpeech Dictate picks them up no problem. In addition to inputting text, MacSpeech Dictate includes a command mode that allows you to drive your Mac with your voice. There is even a convenient commands window to help acquaint you. Using my voice, I can launch applications, perform menu commands, switch between applications, and a host of other possibilities. With a little practice using the command mode, you could operate your Macintosh without touching the keyboard. For people with disabilities, this could open a whole new world. 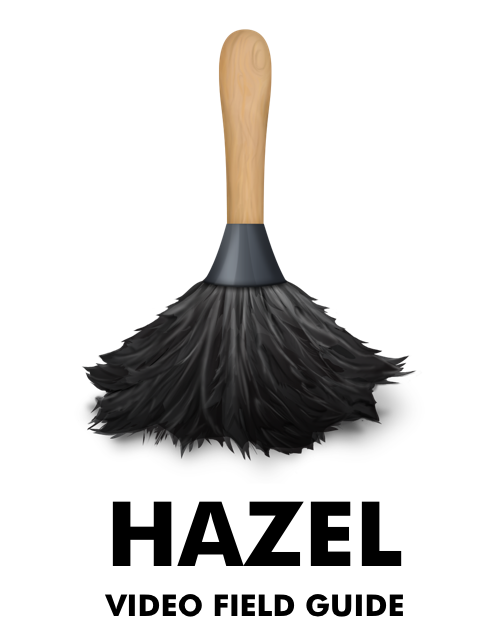 This software is simply amazing and long overdue on the Macintosh platform. This being said, the software is very new and not nearly as mature as the Dragon Dictate software on the PC. The error correction system is not as robust and some of the tools are simply missing. Nevertheless , MacSpeech Dictate represents a huge improvement to voice dictation on the Macintosh platform. Without a doubt, speech recognition has finally made it to the Macintosh. Harnessing the Dragon engine, and the years of experience in technology that goes with it, was a stroke of genius. I'm easily talking to my Mac. 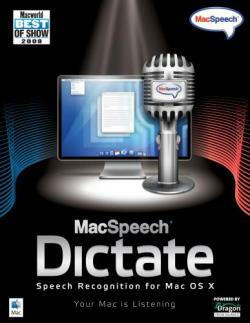 The MacSpeech Dictation package, including the disk, manual, and microphone sells for $199. While this is no small investment, it is not particularly expensive for voice dictation software. The Dragon Dictate software on the PC also sells for $200. If you spend a lot of time typing or have a disability, this software could pay for itself very quickly. It has for me. 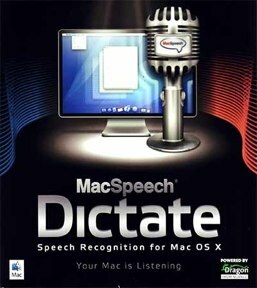 If you are interested in purchasing MacSpeech dictate, click the affiliate link on the left and you can additionally help me pay for bandwidth. You can listen to this review on the MacReviewcast episode 187. In addition to being an affirmed Mac geek, I am also a lawyer. So as I spent the last several days talking to developers and roaming the halls of Macworld, a few things in particular got me excited about practicing law with my Mac. Apple's new machine is a real eye catcher. It is just three pounds and manages to keep a 13 inch monitor. While this would be really nice for the roadwarrior or running around in depositions and trial, the $1800 price tag makes me look twice. If you really need thin and are willing to sacrifice a bit of functionality (no ethernet or firewire) you may want to check it out. I'm sticking with my Macbook Pro for the time being. For those of you former PC users who miss having DragonDictate in your toolbelt, fret no more. I was never a big fan of iListen, but the folks at at iListen recently acquired the license for the Dragon recognition engine for use on the Mac. Their new product, MacSpeech Dictate will be releasing next month and looks fantastic. I spent about an hour at their booth and am very impressed. I also watched David Pogue fawn over it as it produced very accurate and quick results. I wasn't alone in my opinion that this product will change things. It was one of the "Best of Show" award winners by several publications. Put this one at the top of your list for productivity boosters. 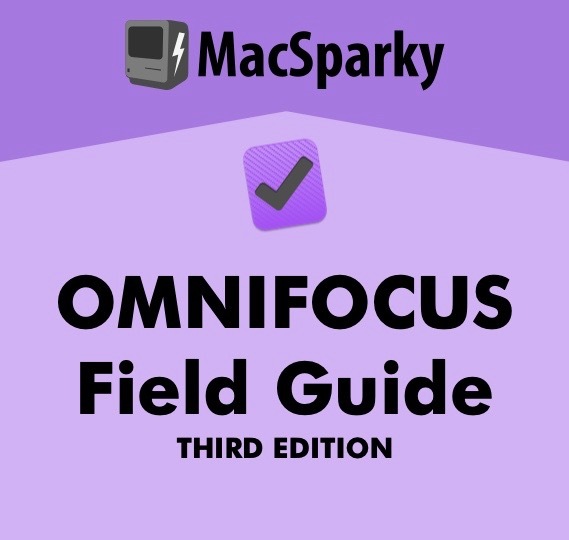 I talked to the folks at Omni and they are going to do everything in their power to get these applications on the iPhone once the iPhone SDK releases. For the small offices that don't need the expense of a server but want to sync iCal calendars between multiple desks, there is a great little application called BusySync. For a cost of $20 per computer, you get seamless bonjour and net syncing between machines. They have a new version due out soon that will also allow for Google calendar syncing. FileMaker is the best application for database intensive solutions. If you are running a small practice, FileMaker's smaller application, Bento, looks really robust. Marketcircle continues its place at the top of small office management software. They had a nice booth and made regular presentations. I was unaware of some of their interesting add-on products like Daylite Delivery and the FileMaker connector. These guys fill a very particular niche. I love my Fujitsu ScanSnap. It is a reliable, fast scanner with a small footprint. Now they have a portable version, the S300M, that retails at $295 and looks perfect for those depositions on the other side of the country. Smart Technologies has a very impressive device you install over your LCD television that allows you to create a virtual white board like you are John Madden. The price point is steep. I was told "around $5,000" but it sure is nice. While TimeCapsule is aimed as a consumer device, 1TB storage with a built in wireless "N" router is a pretty attractive product. I was also impressed with the Drobo that allows you to drop up to four swappable drives in with no headache. Interestingly, if you pull out a drive while it is running (or if the drive dies), Drobo automatically moves the data around to protect its integrity. The Drobo device costs $500 without any drives. For all of you Mac lawyers, I highly recommend visiting Macworld sometime when you get a chance. Not only will you find some great tools for your practice, you'll probably have a good time while you are at it.